What happens when good people with good ideas and good intentions get together? Good deeds happen. Boulder County is lucky to have its share of good people. A great example of good people helping others in the county is a partnership between two groups. Those two groups are Growing Gardens and the Ed & Ruth Lehman YMCA of Boulder County. Growing Gardens sponsors four main programs throughout the year. The Growing Gardens Food Project, provides food for harvest and donation, and also offers educational programs. In addition, Growing Gardens has twelve community gardens throughout the county. These gardens provide space for community members to cultivate their own crops, and produce a large number of fruits and vegetables, including greens, strawberries, potatoes, and other root vegetables. Community classes, in areas such as cooking, bee keeping, horticultural therapy, and sustainable living are offered. Their Children’s Peace Garden offers activities to connect children with nature and experience organic food systems from seed to plate gardening. Finally, the Cultiva Youth Project is set up for youth between the ages of 12 and 18, and provides job opportunities for teens, which teach leadership, life, and entrepreneurial skills, as well as provides hands-on operations experiences in sustainable agriculture. Earlier this year, Growing Gardens built upon a partnership with the Ed & Ruth Lehman YMCA, by taking over management of a one-acre farm. The Food Project Farm was established to grow food for distribution to local residences, free of charge. Since 2010, the farm has produced and donated around 4,000 pounds of produce each year. Wanting to do more, the partnership with Growing Gardens was established. 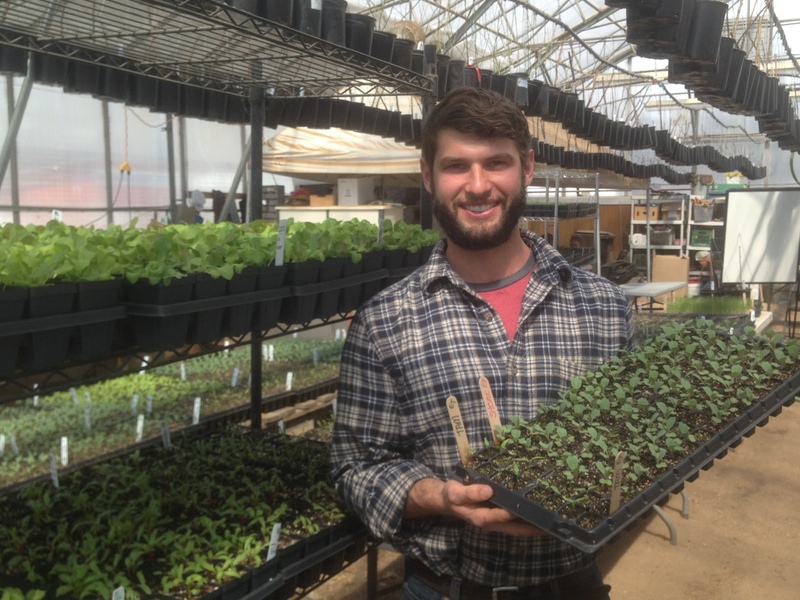 Kevin Karl, the Growing Gardens Food Project Farm manager, took over management of the Longmont farm, and this year, the yield has more than doubled. The Food Project Farm donated most of its food to the OUR Center, a non-profit organization that helps people move toward self-sufficiency by unifying community resources. The OUR Center provides thousands of meals to low and fixed income families each week. And much of the food is from The Food Project Farm. Growing Gardens and the Food Project Farm, already do a lot for the community, but want to expand next year. They want to expand growing facilities, and create more educational programs for children, teens, and seniors. In Longmont, Kevin is completing renovations on the greenhouse, and also plans on increasing the amount of food the Food Project Farm grows next year. Growing Gardens and the YMCA get their financial support from community program participation, donations, and grants. Many of these donations are made through Colorado Gives, a year-round resource to Colorado non-profits. Colorado Gives Day is December 6th, 2016, and donations made on their site are distributed for the following year.